Seductive and precious, BVLGARI Pour Homme Soir is the richest and most sophisticated fragrance of the BVLGARI Pour Homme collection; a luxurious and sensual evening eau de toilette. Notes: Darjeeling Tea, Lifescent, Guaiac Wood of Paraguay, Amber, Musk. Style: Luxurious. Sensual. Sophisticated. 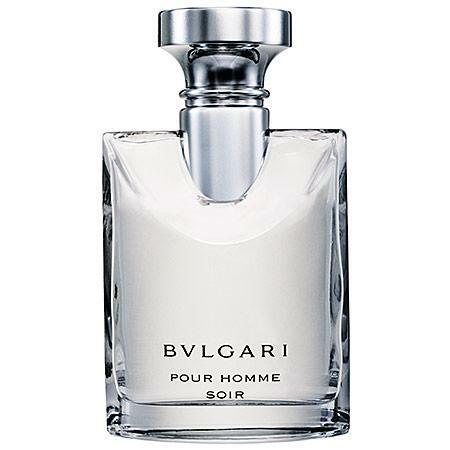 Bvlgari Pour Homme Eau De Toilette Spray, 3.4 Oz. Caron Pour Un Homme Eau De Toilette Spray-2.6 Oz. Bvlgari Man Extreme Eau De Toilette Spray, 3.4 Oz.